Nothing says summer quite like a garden party. The sunshine, the flowers, the abundance of food and friendship. Here are some garden tea party ideas to inspire you as you plan a shindig of your own this summer. 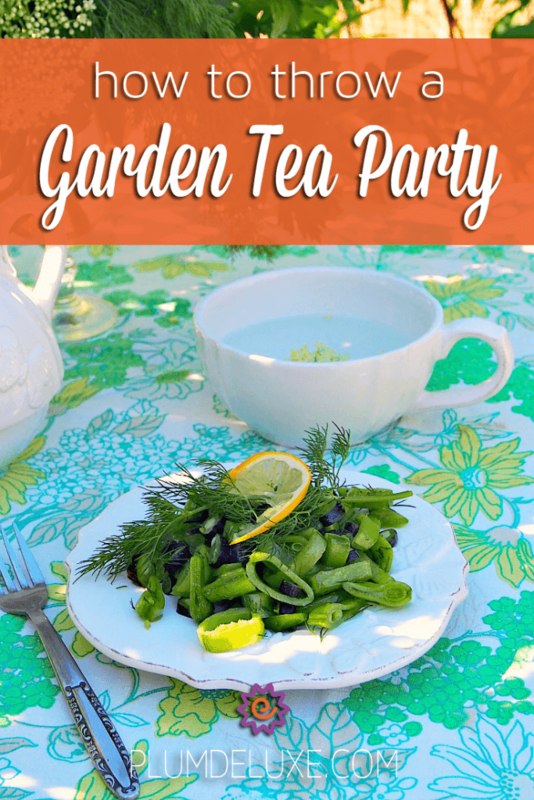 A garden tea party ought to be held in a beautiful garden — yours, a friends’, or a community garden — surrounded by flowering bushes and vegetable-laden plants. Choose a shady spot where your guests can enjoy their surroundings without melting in the heat. Tall elderflower hedges, spreading shade trees, or an arbor covered with vines provide dappled light while allowing cooling breezes to blow. Let the garden provide beauty for your table. Fill clear glass vases with elderflowers and fresh herbs such as dill and Italian parsley, and delight your guests with whimsical arrangements that smell as good as they look. 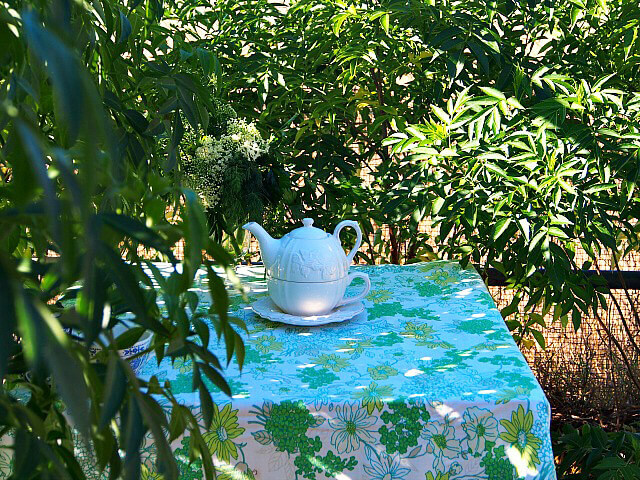 Use linens that reflect the verdant growth of your surroundings. 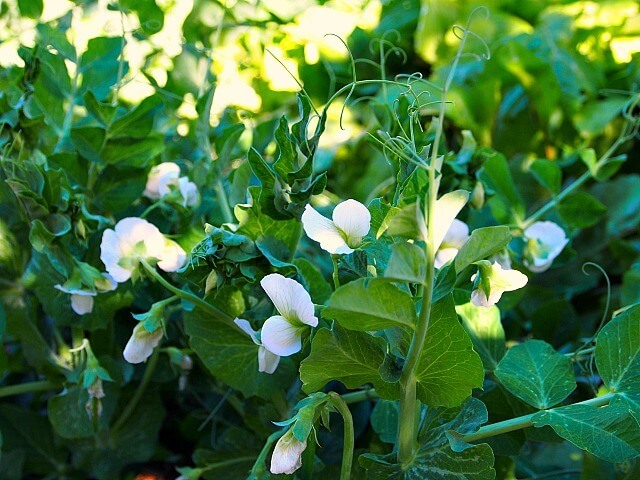 Crisp white and green is an excellent color combination that goes beautifully with anything growing nearby, and gives the feeling of coolness on a hot summer afternoon. 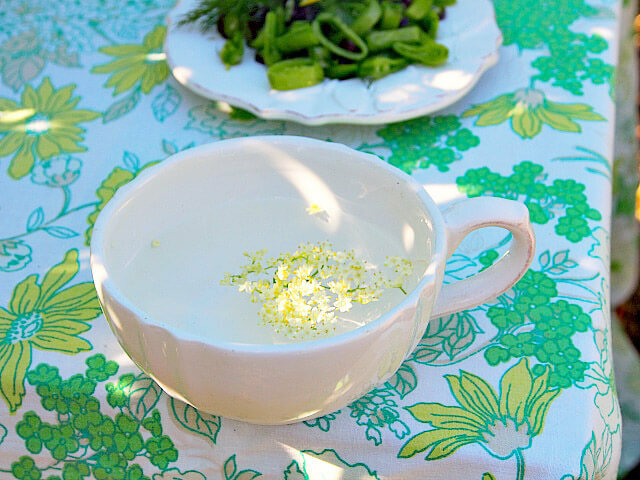 Choose crockery in the same vein, pristine white with green, blue, and yellow — the colors of the grass, sky, and sunshine. Celebrate summer with refreshing iced herbal teas. Cool mint, delicate elderflower, or fragrant pineapple sage are all excellent choices. Elderflower cordial, sprightly homemade lemonade, or sweet tea are also delightful options when served well chilled in tall glasses. Summer is the perfect time for light, fresh foods that embrace the bounty of the season. 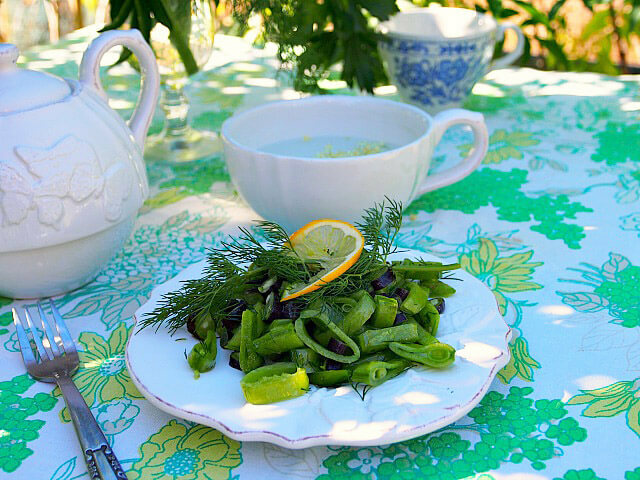 Start with a salad of sliced snow peas and new purple beans tossed in a lemony dressing and sprinkled with fresh dill, or an Awesome Strawberry Hazelnut Salad with Balsamic Chicken and Goat Cheese. Follow with a cold Smoky Sausage Quiche and sumptuous Bacon Wrapped Grilled Pears with Arugula. End your garden tea party feast with a selection of desserts such as a charming confection of Eton Mess with Earl Grey Strawberries, a light and airy Spiced Berry Tea Syllabub, and a gorgeous Cranberry Macadamia Nut Tart. If the garden belongs to you, encourage your guests to ramble along the pathways. Supply them with simple baskets or buckets, and encourage them to harvest a sampling of your homegrown herbs and vegetables to take home with them. Perhaps a handful of snow peas from the tangle of vines, a few early cucumbers or cherry tomatoes, a handful of fresh basil or French tarragon, a haphazard bouquet of elderflowers, honeysuckle, flowering herbs, and sinewy stalks of lemongrass. If the garden doesn’t belong to you, urge your guests to ramble anyways, admiring rose bushes and marigolds, frothy pampas grass and dreamy weeping willow trees, reporting back on the beauties they loved best. As the afternoon wanes, refill your guest’s glasses with more iced tea or elderflower cordial, and raise a toast to good friends, gorgeous gardens, and many more idyllic summer afternoons. Then turn on your favorite dance tunes and shimmy and twirl under the trees as the sun sets!